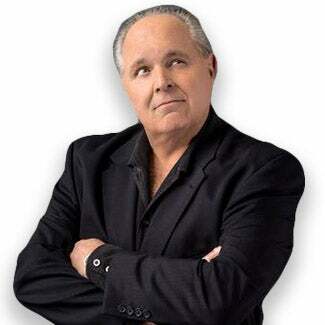 RUSH: The New Black Pantherette, Jemele Hill, who is recently suspended from…? (interruption) What are you lookin’ at? New. New Black Panther. She’s not a Huey Newton. Now, as I point out, she was not suspended for calling Trump a white supremacist. I don’t think ESPN Disney thought that reflected negatively on them, but this they think does. And this is about money. This is not about principle. What she did is go out and basically tell people to boycott her company! You can’t separate the Dallas Cowboys from ESPN. Sponsors of the Dallas Cowboys are by inference and extension sponsors of the National Football League and thus sponsors of ESPN, and she’s asking people to boycott those sponsors in protest to Jerry Jones. Have you heard the latest? I don’t have a name. I just saw the link at a quick glance at the computer screen. But somebody now — I think it’s ESPN. I don’t know. Somebody’s comparing Jerry Jones to a modern-day slave owner. That this is slave oppression behavior. And of course it isn’t. African-American players in the National Football League have no greater fan and no greater supporter than Jerry Jones. Jerry Jones idolizes his players. (interruption) Oh, the rapper Common, the actor, the rapper Common. He’s an angry guy too. He’s mad all the time. All these people are mad all the time. They’ll see Trump threaten to beat Tillerson in an IQ test, and it’ll ruin their day, they’re so mad. Jerry Jones idolizes his players. That’s one of the reasons, by the way, people have often criticized Jerry for being the general manager of the team. General manager runs the draft, essentially picks the roster, and people have said he’s too close to it. He needs to hire a general manager with a little bit more objectivity. The reason is he idolizes these guys. There’s no owner in the NFL who has more respect and appreciation for every player in the NFL, especially his own and including the African-American players who make up 75%, on average, of every NFL roster. These allegations are just absurd. But I predicted this. I hate to remind you. When this concussion stuff started is when I predicted this. I said, “Wait ’til these people trying to damage this game figure out that they can make the slave owner connection based on the racial component.” The stories were developing that the game kills people, that the game ruins the brains of players and leads them to commit suicide and die much earlier than average people that don’t play the game, which, by the way, is true. And I said you wait until some of these leftist critics figure out that they can claim that it’s nothing more than modern-day slavery. Who is it that’s killing themselves for the entertainment of the white owners sitting safely away in the skyboxes above, never subjecting themselves to any of these injuries but delighting in the injuries they witness, their own employees. And now it’s starting to happen. Not in conjunction with concussions, but in conjunction with all the rest of this, the NFL ownership is now becoming the equivalent of modern-day slave owners. And the never ending formula once again is repeated, that viewers have openly said they’re tired of and wish wasn’t happening as part of the time they expend watching this game, looking for it to provide them an escape from the very kind of thing now being rammed down their throats when they watch it. 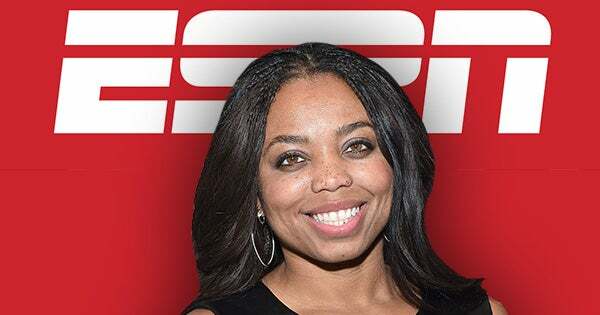 Now, back to the New Black Pantherette, Jemele Hill. I think a lot of these people literally do not understand the financial arrangements that result in the National Football League existing and a team existing and how it’s owned, operated, makes a profit. I don’t think because education, economic education so woefully inept, that to them all this is funding and donors and funders are everywhere, but now we need to boycott them because things are going socially wrong in our league. And she doesn’t understand — or maybe she does; I don’t know — that calling for a boycott of sponsors is actually asking for damage to occur to the place she works! And I don’t think she has a grievance with ESPN, or she didn’t before she was suspended. Her grievance was with the slave owners of the NFL and the president, the white supremacist in the White House. But I don’t think she had a particular grievance. Maybe she does. People like this have a grievance about practically everything, including their Kellogg’s Corn Flakes in the morning. So you never know.